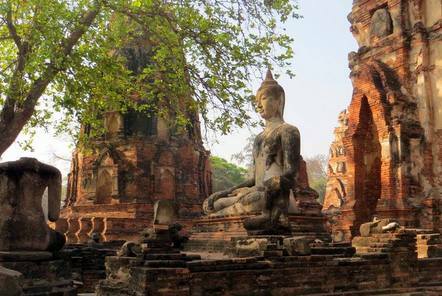 As Tourism Thailand describes it, ‘Thailand is a wondrous kingdom, featuring Buddhist temples, exotic wildlife, and spectacular islands’, and it is easy to see why this beautiful country has become one of the top tourist destinations in the world. 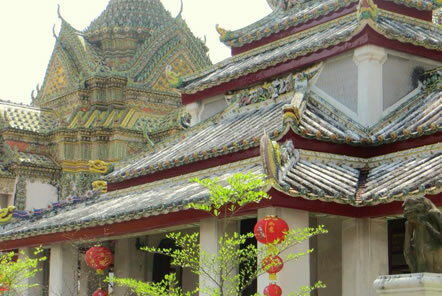 Pod Volunteer offers a wide range of voluntary placements in Thailand from dog and cat rescue to elephant care, from marine conservation to teaching English. Do dress conservatively when visiting temples and holy places, preferably wearing white. Cover any bare skin. Do remove your shoes and hat when you enter any temples or holy places. Do eat with a spoon and a fork, using the fork to put the food on the spoon and then eat from the spoon. Do make sure you treat monks with the highest respect at all times. Do be prepared to answer personal questions about your age, family, relationship status or how you earn your living; people will ask very personal questions and not think they are being rude at all! Don’t take photos in any temples or holy places, even if there is no sign; this is very disrespectful. Don’t point at things with your feet or show the soles of your feet to anyone; when sat on the ground make sure to tuck your feet underneath you. The feet are considered to be lowest and dirtiest part of your body and it is hugely offensive to show your feet to anyone. Don’t say anything disrespectful or behave disrespectfully in anyway towards the Royal family; they are very highly regarded in Thailand and it is a great sin to insult them. Don’t touch a Thai woman without consent. Thai nightlife and the role of women in it is widely publicised around the world but despite this, the majority of Thai women are very conservative in their attitude. Don’t touch a Thai adult or child’s head, and ensure that you apologise if you accidently touch somebody’s head. Don’t greet people with a handshake, instead greet people with a traditionally Thai gesture called a wai, which is pressing the palms together in a prayer position. Don’t engage in public displays of affection! Hopefully this simple do’s and don’ts guide will prove to be helpful for anyone thinking of travelling or volunteering in Thailand. You will get much more out of your adventure in Thailand if you manage to observe this simple bit of advice!